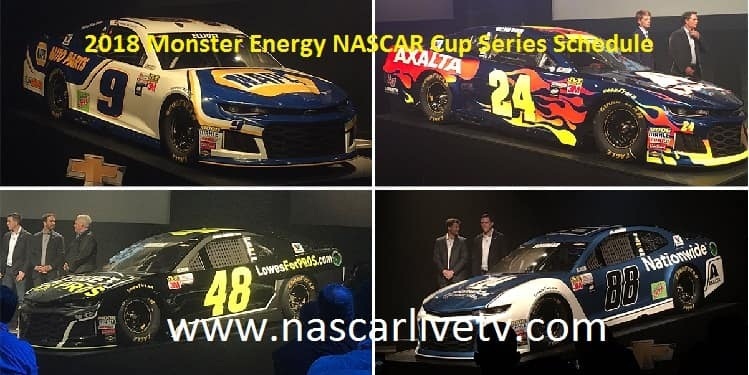 The Monster Energy Nascar Cup Series 2018 schedule has been announced, it is a 70th year professional stock car racing in USA and 47th modern-era Cup series. This season will be starting with the Advance Auto Parts Clash which will be held at the Daytona International Speedway on Sunday 11 February 2018. After this the qualifying races Can-Am Duel 1 and 2 will be taking place before the Daytona 500. The final race Ford EcoBoost 400 Monster Energy Nascar Cup Series 2018 will be held at the Homestead-Miami Speedway on 18 November 2018. In this Nascar Cup Series Martin Truex Jr. will take part as a defending champion.